Fashion designers can have a series of lightbulb moments on their journey to creative success – moments that inspire or ignite ideas. For Pirongia based designer, Alecia Kana, it began after a mishap with her senior high school ball gown. Many of the pieces from her latest collection are inspired by her love of natural colours, fibres and earthy palettes that she believes look great on any woman. 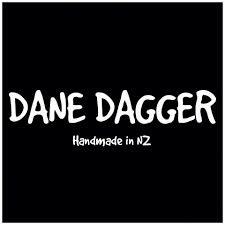 In 2016, Dane made his debut at the Pacific Fusion Fashion Show. His return this year marks an evolution in his design story. Now over a year since his last runway show, Dane has been experimenting with hand dyed chiffon, couture gowns and tapa cloth. Australian Aboriginal design label ‘Kirrikin’ has made a name for itself as a high-quality producer of Koori resort wear, scarves, neck ties and jewellery. Founded in 2014 by Amanda Healy, a Wonnarua woman from SE Australia, Kirrikin will make its debut in New Zealand at the 2018 Pacific Fusion Fashion Show next month. Edgy elegance with a blend of Polynesian and mainstream designs are how Nancy Elizabeth Thompson describes her latest fashion collection from LIFT Designs. Based in Carson, California, the Samoan Tongan designer will be joining the Pacific Fusion Fashion Show in Auckland next month. Nancy says her aim as a designer is to give wearers of her clothing the space to feel self-love and joy. The founder of fashion label ‘Moo.dy’ is known for her quirky style which she describes as “fun with a twist of elegance and streetwear”. Moo.dy finds inspiration from the past and the present, the bright and the colourful, the old and young and the weird and different. Where people might see ugly and strange, they envision beauty. Molly & Grace whose designs they say are whimsical and bold and a nod to two women they admire. Fashion collaborations can help a brand stand out – a concept that emerging label Molly & Grace is hoping to achieve. Samoan model turned fashion designer Annmarie Williams will be showcasing new skills at the Pacific Fusion Fashion show next month. After treading the PFFS runway as a model last year, she’s now set to release her first collection of clothing. Numia is heavily influenced by music and various sub cultures. The brand’s creative appeal is drawn from an appreciation of style, quality & functionality. 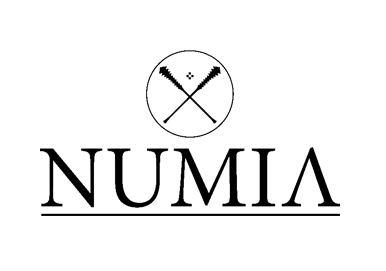 In a stereotypical society, Numia remains fluid & creates its own distinct image, limiting itself to no boundaries. Reintroducing femininity to a society that’s “gravitated towards shorts” is the mantra of Tahitian born fashion designer, Ida Teiti. Blending modern styles with bright island colours and floral designs, Ida says she wants to show that women can be elegant as well as strong.